And, this romantic heart, perfect for wedding projects! Do you see the faces? GORGEOUS! There are other new releases in the store. Go check them out! First off, ALERT! if you want to play in the June Round Robin Challenge, sign up NOW! Sign ups close tomorrow night! Don't worry- it looks like all of the first spots will be filled up, so there is no pressure there! But, please sign up- it's so much fun! And, please vote for your favorite layouts for the May Round Robin. ANYONE can vote. Just PM the hostess. 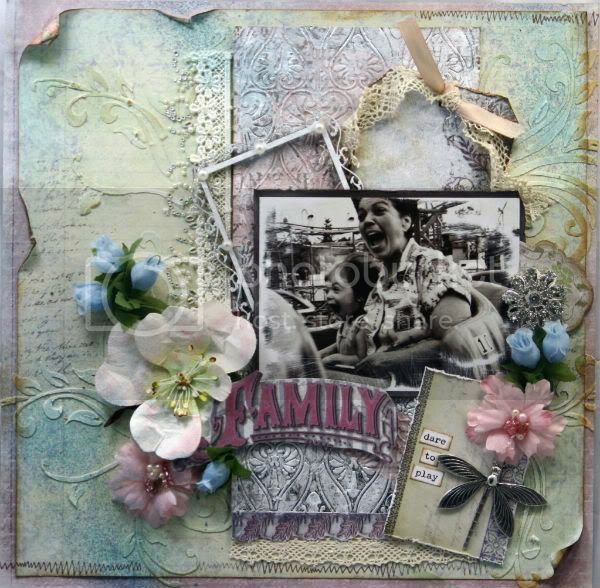 Lisa used many elements that Peggy did: the stenciling with gesso or molding paste; the tag, ATC, and frame layers. 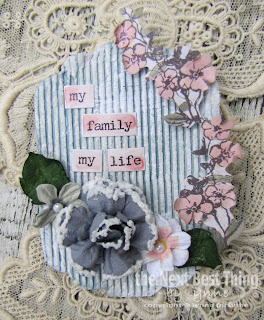 She added another larger layer, stitching, and lace, and added a larger title under the pic, which is a different shape. 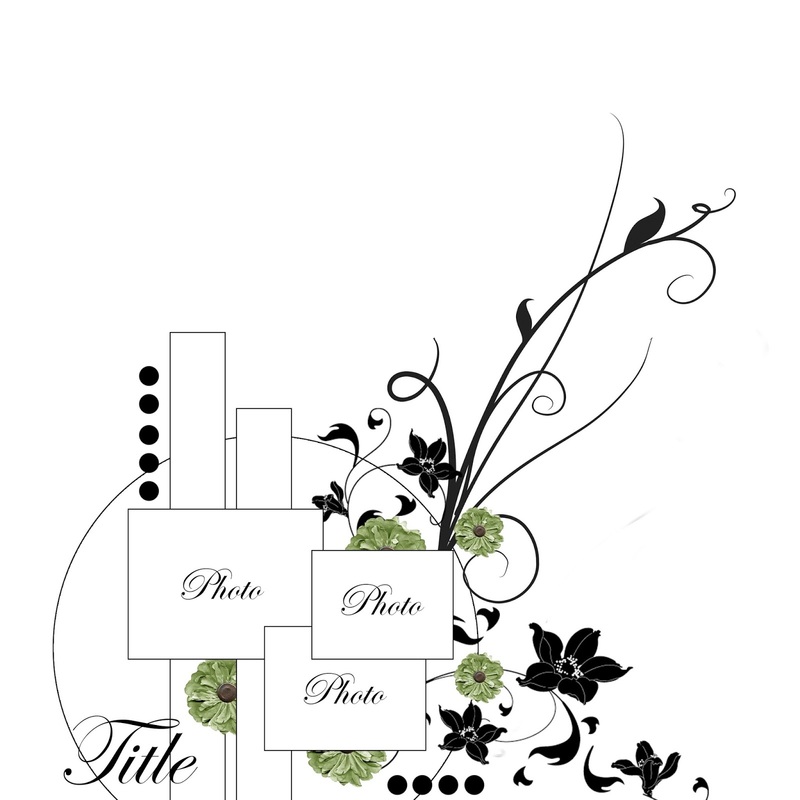 So, she also added the stenciling, tag, and the ATC. Her layers under the pic are there, just a little different. 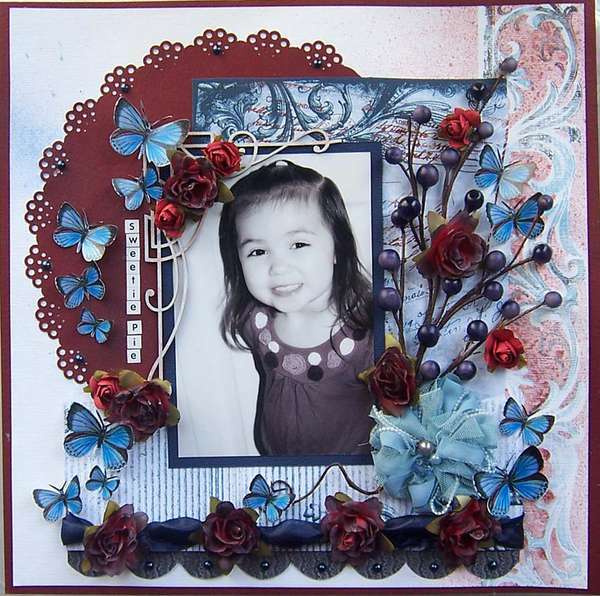 She added another larger layer, and used a die cut paper for the border. Her colors are more contrasting than Lisa's. And she used a color pic instead of black and white. So Sherri finished the transformation, and her layout really encompasses all of the previous layouts. 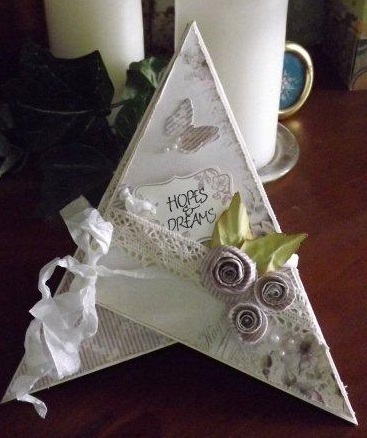 She used the die cut paper like Linda, but in a different way. She kept the tag and ATC, and the stenciling, but she colored hers and cut it out. 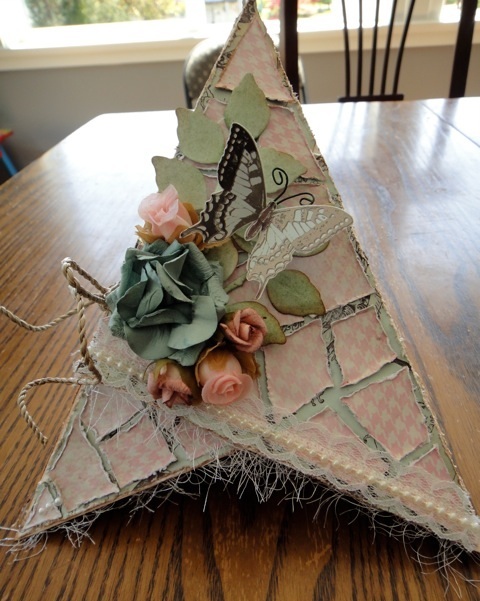 She added butterflies and similar layers under the pic like Linda. 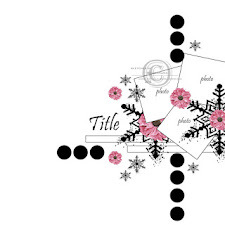 She added punched out images and also a stamp. 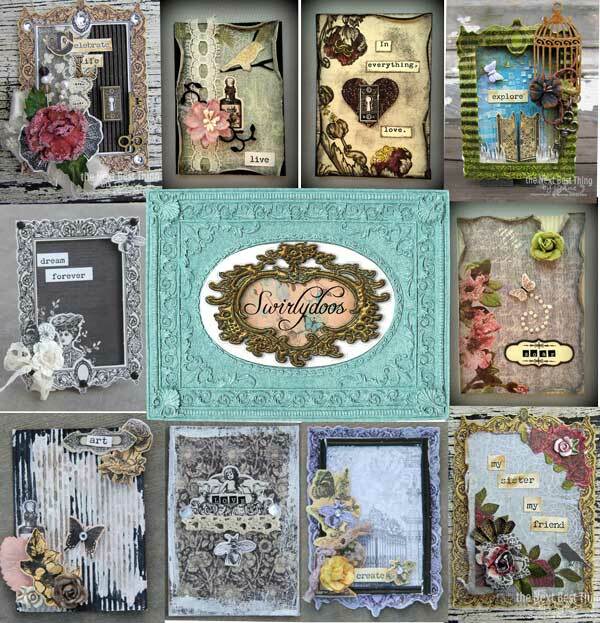 Each of these layouts are gorgeous; a lift, yet completely each talented ladies own style. It's so much fun to see the evolution of the layouts each Monday (or before, if you are a Rebel!). It also gives you a reason to look forward to Mondays! (WHAAAAT?) If you don't already, please consider joining us. 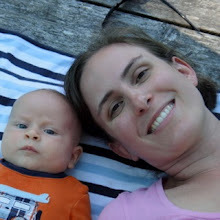 Mothers Day has passed, but when you think about it, every day is Mothers Day. The layout gives you a feeling of walking through a gorgeous fall garden. We love the little beautiful touches that draw your eye to the page. The ripped and corset laced spot gives the LO character. 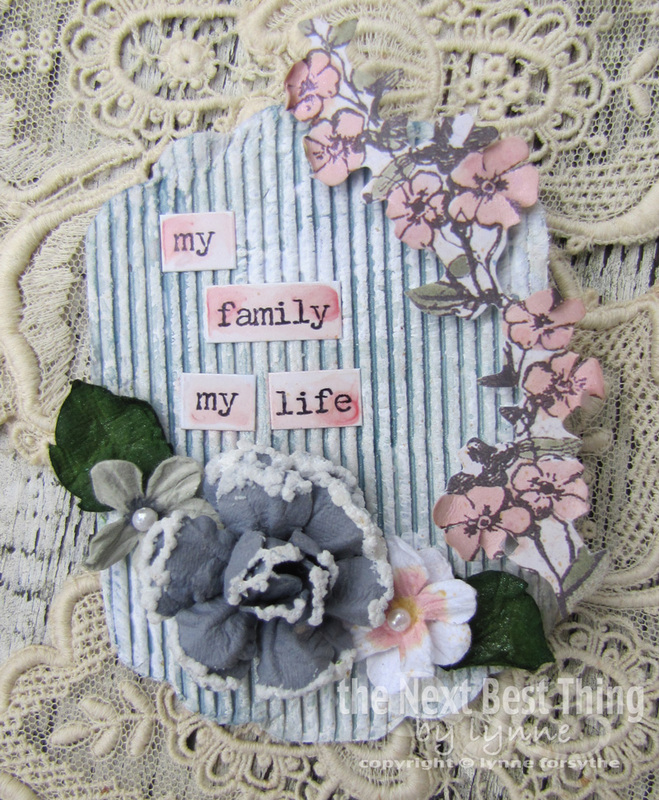 The subtle hint of chicken wire masking adds to the warm charm on the page. The floral sprays in their gorgeous blue green and yellows draw the eye to the beautifully framed photo. 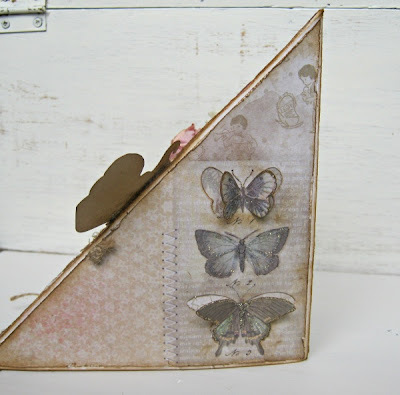 Adding an ATC is the perfect spot for journaling. 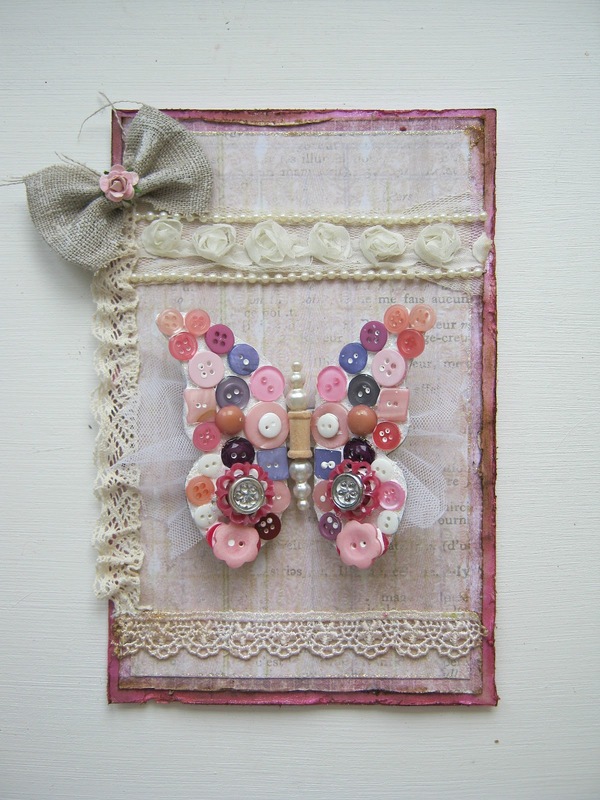 The gorgeous butterflies fluttering around the page are very sweet and the swirls of pearls fill in the small gaps very nicely. Beautifully done Debbie. This page is a winner in our scrappy memory book!! Hi there. Hope everyone had a fabulous week and is ready for a long weekend (for most). Today I am sharing another flower tutorial. This one is so easy and it honestly is very relaxing. You can use any type of petals to make this flower. I used the Tim Holtz Tattered Floral Die. Love that die. Hope you enjoy the tutorial. If you have any questions please ask! P.S. I love reading your comments!! This month Project Add-on is a plethora of new items to make Artist Trading Cards. These little mini projects are fun to do. Here are a few that I made. Not sure what to do with your ATC's? I added the above ATC to my scrapbook page. For more ATC ideas please visit the Swirlydoos Gallery! Also, keep an ear out for the upcoming ATC contest at Swirlydoos! A new card challenge is posted in our All About Cards thread. Of course there can be found a step by step tutorial too. I came to this idea, when I read throught the BlogHop comments. So here's my take, at using more buttons, Swirly style. So, Thank you lady for this awesome idea! Please post your gorgeous creations, HERE and in our Gallery. 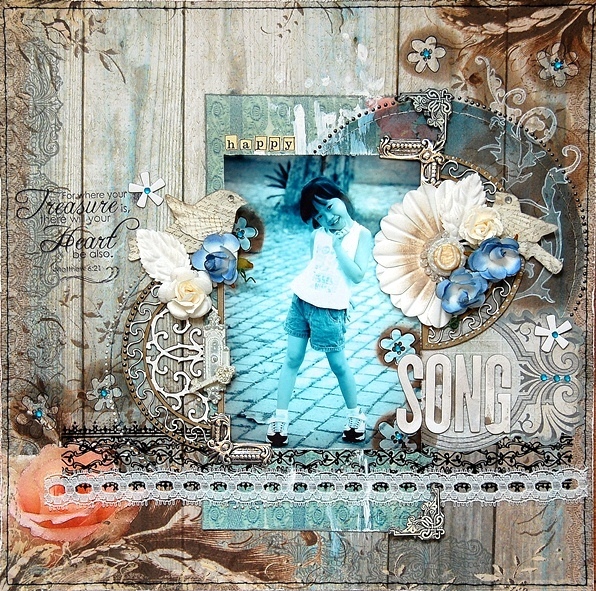 This week we bring you a gorgeous layout created by Melenia. 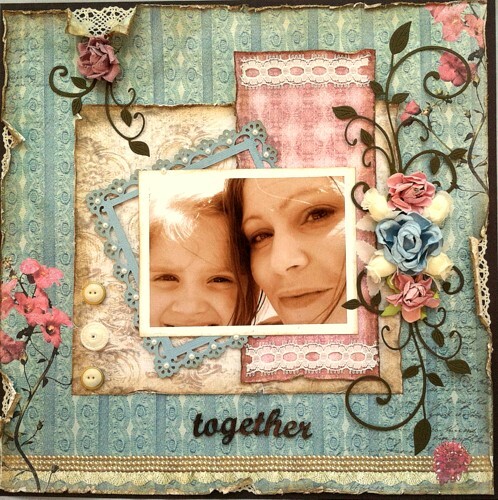 She is a wonderful scrapbook artist from Greece. You may be familiar with her work from Once Upon A Sketch. She has many other talents and she decided to create this LO and tell you how she feels about being modest. It is so creative the way she uses the same photo and repeats the photo in layers revealing the different facets of her creativity. The design is just fantastic and very creative. All of different the butterflies fluttering around the page are simply divine. This may inspire some of you to dig into the butterfly archives here and create your own version of Melenia's LO. 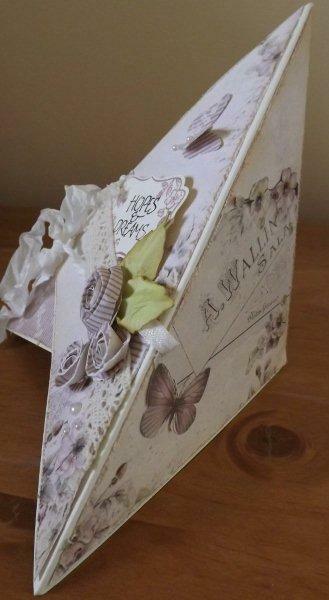 The bit of Dusty Attic and the layered torn papers give this LO an edge. Love the journaling which describes what is meant by the title. 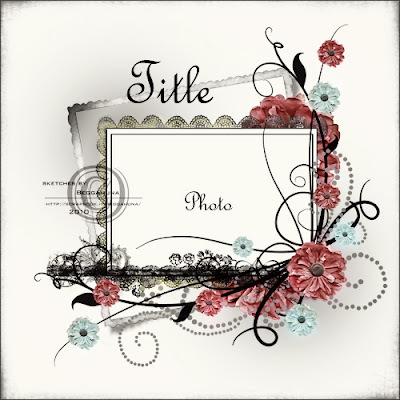 Just the right splash of ink spots set off the whole page...We love this one Melenia. We are so inspired by it. Thank you for sharing your art with us. and then created a holder for my ATC....a tag! Please join me as I share my creation!! One of my favorite embellishments EVER, are VINES! They add so much to your projects with little effort. You can use them just they way they are, bend them to fit around shapes or pictures, or cut them up to put under your own blooms. You can add your own flowers to them too. The possibilities are endless, and you can get some of the prettiest ones right here in the store or "boutique", as the link says. Add some of these vines to your hoard, or buy them and USE them! Here's a look at some fabulous layouts designed by our super-talented subscribers that have been posted this month. NOBODY can crate a travel layout like Kathi! So, if you haven't already, join us in posting your lovely layouts! We love seeing them! Which means that a new card challenge, and a step by step tutorial,will be posted every other week, instead of every week. send me a PM or speak your mind, in the All about Cards thread. Now on the the BEAUTIFUL cards, I saw in the forums and gallery. 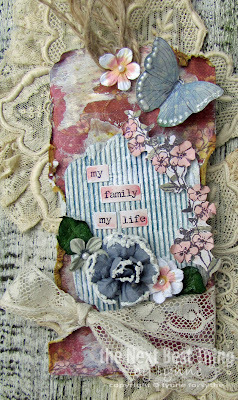 JennieA created this gorgeous card. I was speechless when I saw these beauties!!! Are you feeling inspired already? I know I am. Hope everyone is having a fabulous week. Today I bring you a little review/demo. One of my favorite tools ever. The quickutz quick stick. It is a perfect tool to get all those gorgeous pearls and bling in place. I love the tool so much. It is very helpful when I am wanting to put some tiny pearls or bling on my projects. Which is almost every single one of them. Makes it very easy. In the video I share a little bit about the tool and how I use it. I hope you find this video helpful. Today I wanted to share with you some really gorgeous work from one our design team members, Irene Tan. Sometimes shipping delays keep our very talented international team from being able to join us in our blog hop. This was the case for Irene this month. Her work is too amazing not to share. 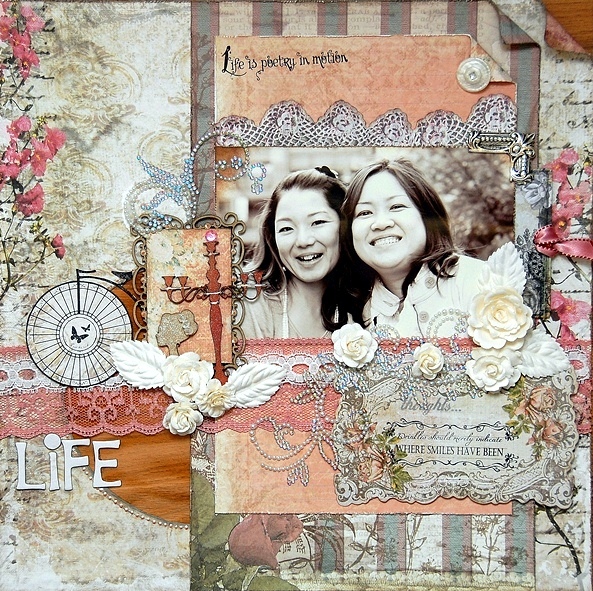 I think you'll agree with me when I say that Irene's work with our May So Chic kit is absolutely breathtaking. 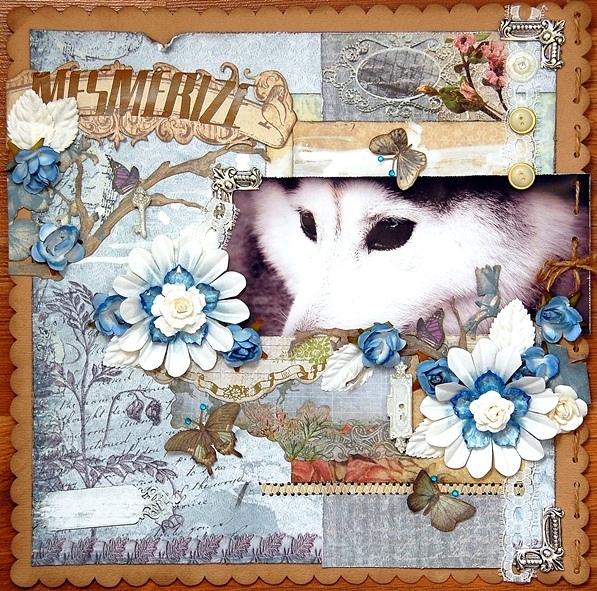 This first page is one that she did for our May SwirlyHues Color Challenge. Take a look at the blog post before this one to get all of the details and see how you can play along. 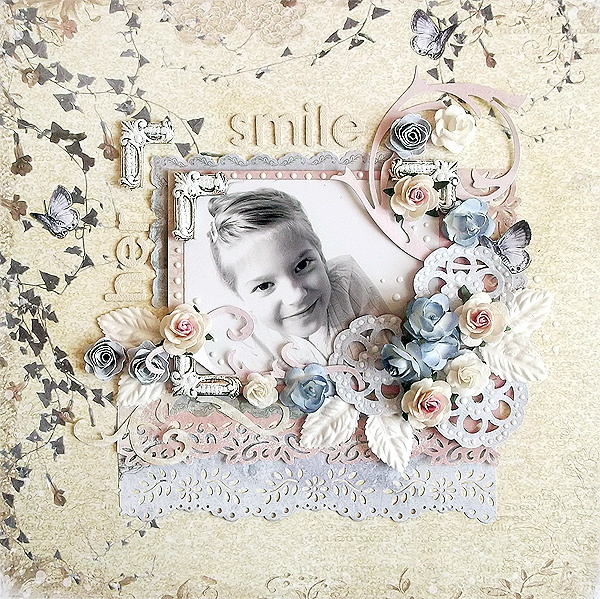 This next one is based on the sketch that came with our So Chic kit. Every Swirlydoos kit comes with a sketch to inspire you. Here are a few more that she did. Umm, wow...right?! Thank you Irene for some serious inspiration. May SwirlyHues Challenge & Winners of the Creative Imaginations Prize!!! 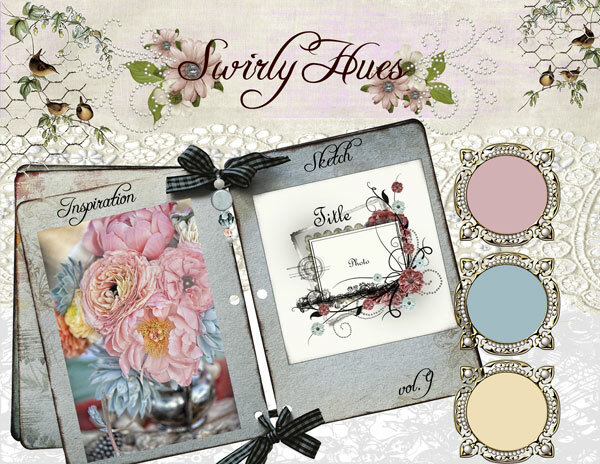 It's time to unveil our May Swirlyhues Challenge! Here is the storyboard I have designed for you. 5) If you have a blog, please use our link in the right hand side bar to upload your challenge entry. (look underneath the SwirlyHues links) to your blog page with this challenge, not just your blog in general. If you DO NOT have a blog, you can still use the link to the right and link us to your online gallery page! OR, you can upload your gorgeous creation to the SwirlyHues album in our gallery no later than midnight eastern time on May 10th. Click HERE to get there. You will need to register to upload photos. It's free! Use the following format to name your item: SH MAY 2012 (insert your project name here). Your photos can be no larger than 600x600. In the description please tell us what tutorial you used. If you don't have a blog, just let us know that. 7) The next challenge will be uploaded to our blog on June 10th! I am happy to announce the winners of the Creative Imaginations prize pack!!! You will each receive a prize valued at $25!! All you need to do is contact Lisa Valentine at Lisa@Swirlydoos.com with your contact information!!! Congratulations!!! 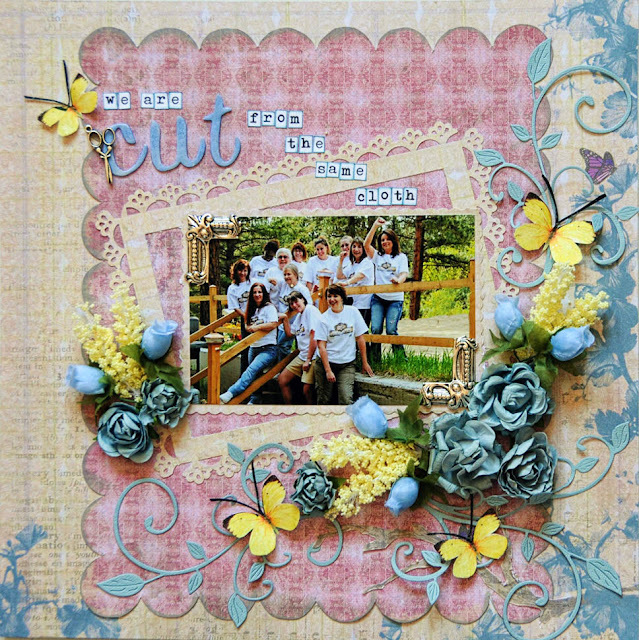 Barbara used the April Kit " Whispers of Spring" and the monthly sketch. 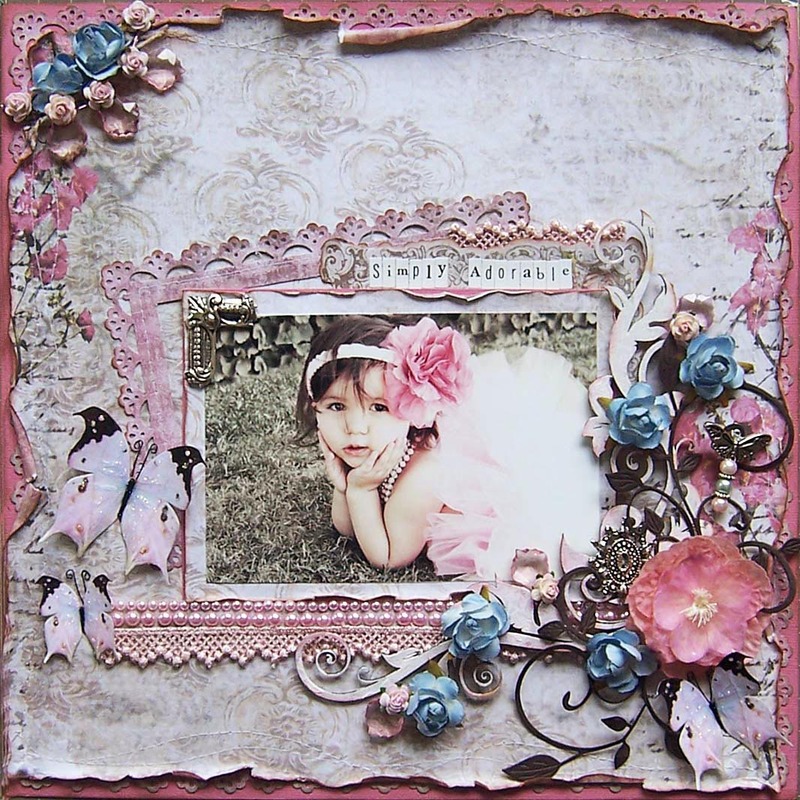 Such a gorgeous page to showcase such a pretty little girl! Thank you Barbara for sharing and inspiring us!! 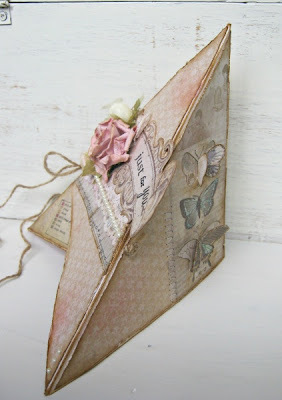 Blog Hop Winners, Creative Imaginations Give Away and a Card Challenge...OH MY!!! Good Tuesday morning to ya!! 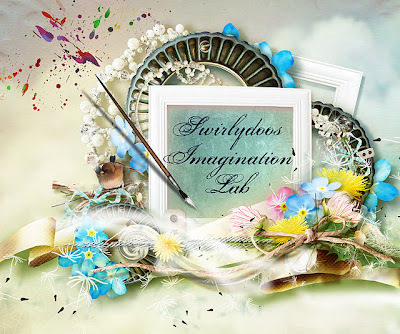 First, if you haven't taken a look at Creative Imaginations lately you are MISSING A LOT!! Our May Technique/Project kit is so jam packed with new product from their ATC Line. Take a look at our kit. Isn't this AMAZING!!! Go to our home page to learn more about this kit and how you can get one. We currently have an ATC challenge going on. Come on in and join us. Even more amazing are these ATCs that were made by our Education Team Designers, Lynne Forsythe and Tiffany Morgan, as well as Design Team Member Rachel Moses. 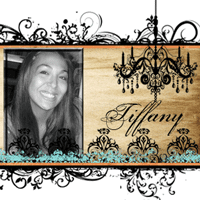 Every month Krissy puts together a different Technique/Project kit. Our Education Team designers work with these kits and create video tutorials that not only show a stunning final project, but they also teach techniques. Check out our tutorials section in the forum as well as our Swirlydoos Youtube Channel!! Gone are the days of buying a really cool kit and then letting it sit because you don't know what to do with it. Swirlydoos' Education Team is here for you!! Because this kit is so jam packed with Creative Imaginations product, we are going to give you ANOTHER chance to win a really fabby prize from Creative Imaginations! 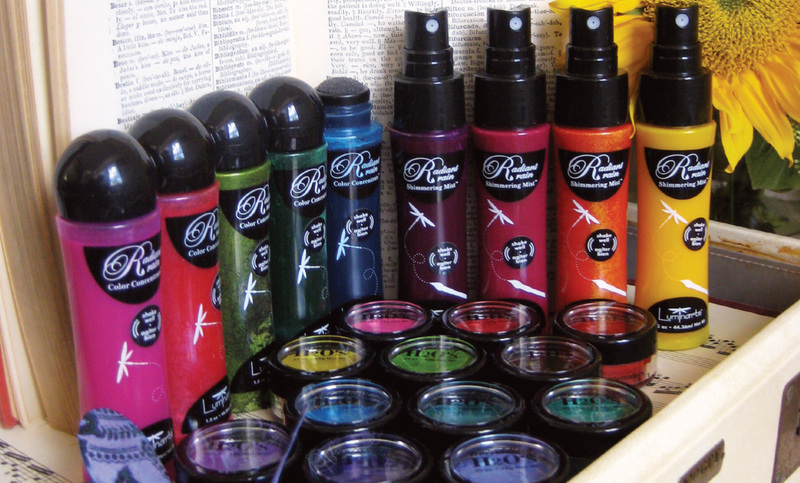 Leave us a comment and let us know what your favorite Creative Imaginations product is for a chance to win!!! Don't forget to check out their blog when you can. They have tutorials and lots of eye candy!! You have through tomorrow to leave us your comment for a chance to win a mix of Luminarte H20's and Luminarte Radiant Rain sprayers!! 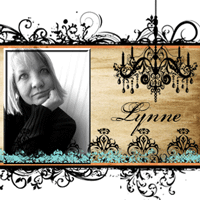 Did you know that we have a very inspiring Card Forum?? Well, we do! 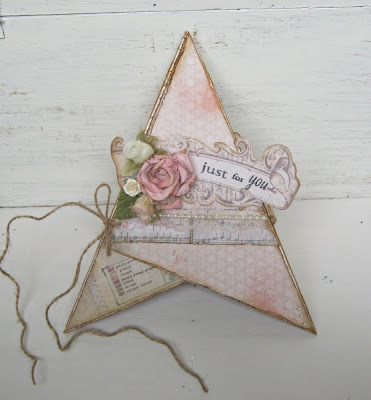 Design Team member Paulien has created a Card Forum that will keep you inspired and trying new things!! She challenges participants to use sketches, specific colors, certain shapes and even shows you how to make off the page projects! 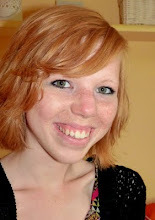 Paulien is going to share with you what she has planned for this week!!! Today's card is one with a Fun and different design. The rules are posted at the end/bottom of the tutorial. This challenge is open to everyone, so come on over and play along. Finally!!!! Once again you made our blog hop really wonderful. All of the hoppers and all of their generous comments leave us truly humbled. You ROCK!!! Thank you, thank you. Here are our winners!!!! Remember, you have 7 days to claim your prize. Please email me at Lisa@swirlydoos.com with your information so we can get you your prize!